Sunday evening saw the 2018 BAFTA Television Awards take place. 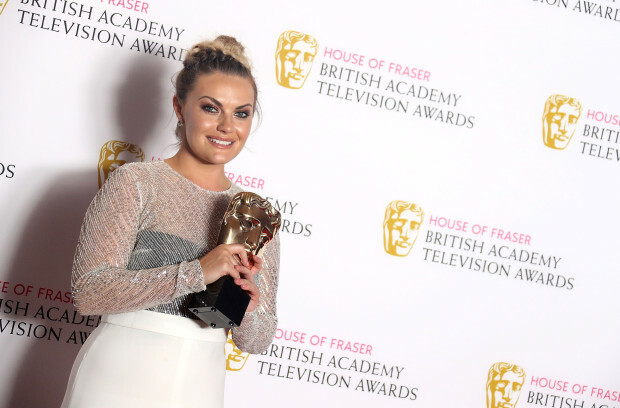 It was a successful night for Love Island this year, with the ITV2 show winning its first ever BAFTA award for best reality series. 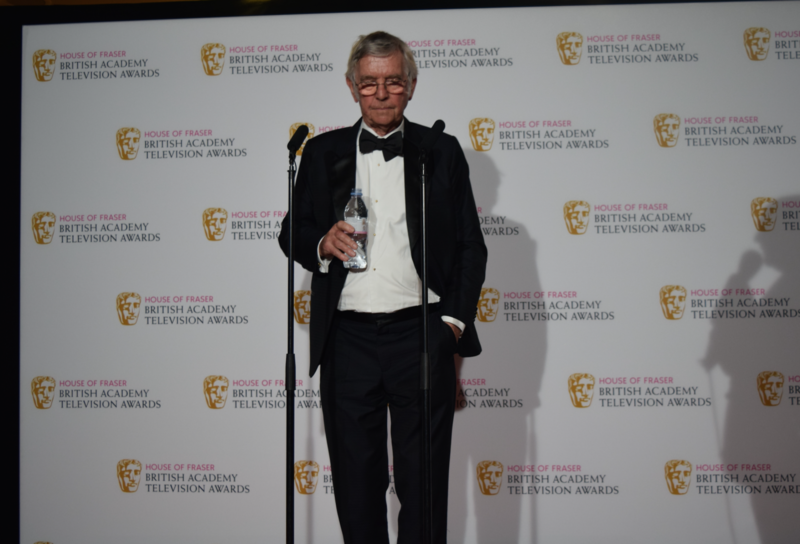 Peaky Blinders, Blue Planet II and Britain’s Got Talent were also among the winners at the 2018 ceremony. TV BAFTAs 2018: Who are the nominees? The nominations for the BAFTA 2018 TV Awards are out. Leading the pack are Netflix hits The Crown and Black Mirror as well as BBC Dramas Line of Duty and Three Girls, with three nominations apiece. The Crown received nominations for best drama, leading actress and supporting actress, while Black Mirror received nods in the leading actor, supporting actor and single drama categories. Line of Duty also bagged a best drama nod, as well as leading actress and supporting actor. Meanwhile, Three Girls is up for best miniseries, leading actress and supporting actress. 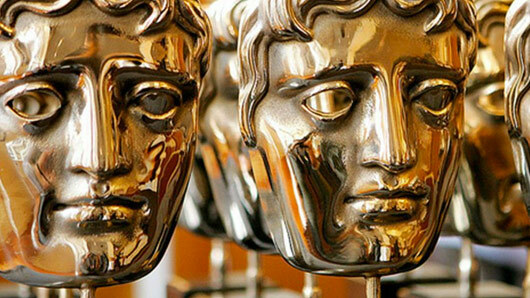 The BAFTA TV Award winners will be revealed on May 13 at the Royal Festival Hall, with coverage on BBC One. 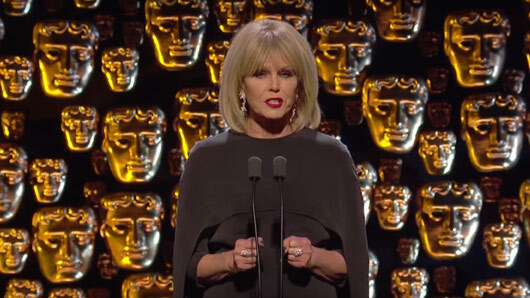 Joanna Lumley delivered a powerful speech during the BAFTA Film Awards last night, addressing the efforts of those involved in the Time’s Up movement. Stars wore black once again at the event, in support of the #MeToo and #TimesUp movement. And the ceremony’s host Joanna Lumley paid special tribute to those fighting for gender equality. In her opening speech, Lumley first highlighted the historic significance of the Royal Albert Hall, where the BAFTAs took place. She continued: “A century ago, the Suffragettes laid the groundwork for the sort of dogged resistance and powerful protest that is carried forward today with the Time’s Up movement. 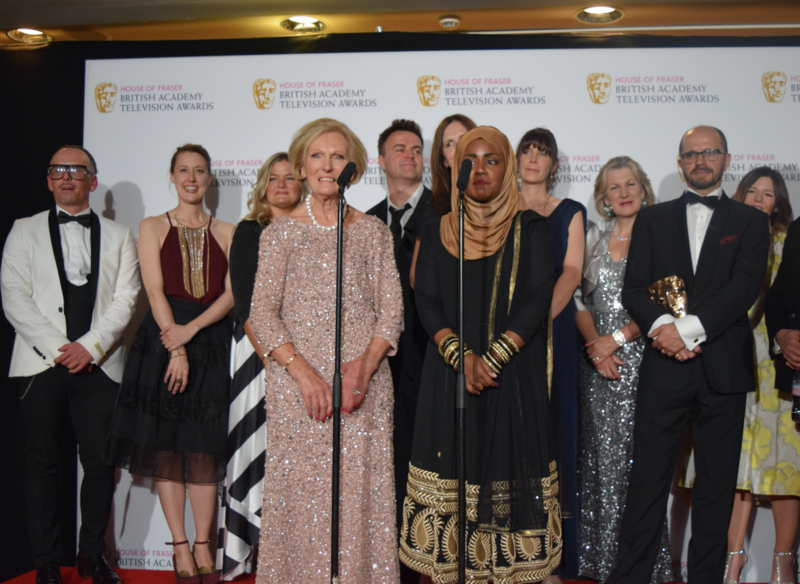 Lumley’s words were met with an enthusiastic round of applause before she went on to salute all the “talented and creative and inspirational individuals who have enriched our lives with their stellar work”. You can watch The British Academy Film Awards in full on BBC iPlayer. 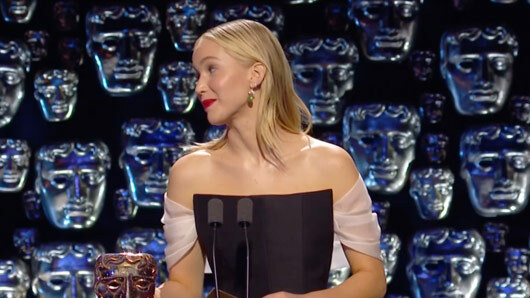 Jennifer Lawrence threw a sassy comment at Joanna Lumley during last night’s British Academy Film Awards and Twitter was not happy about it. We all love Jennifer for her realness, but publicly disrespecting Brit queen Joanna Lumley? Now that’s just too far. UK viewers were left annoyed after the American actress slipped in a shady comment about our beloved Joanna, who simply paid Jennifer a compliment before welcoming her on the stage. Introducing the first award of the evening, Joanna said: “Right let’s start giving out some of those beautiful BAFTAs shall we? “And we start with the award for Outstanding British Film and who better to kick the whole evening off than the hottest actress on the planet. Twitter users had something to say about the rude comment, and quickly took to the social media platform to criticise The Hunger Games star. The nominations for the 2018 Bafta Film awards have been announced, with Guillermo del Toro’s fantasy The Shape of Water leading the pack with 12 nods. Other frontrunners include Winston Churchill-thriller Darkest Hour and dark comedy-drama Three Billboards Outside Ebbing, Missouri, with nine nominations apiece. 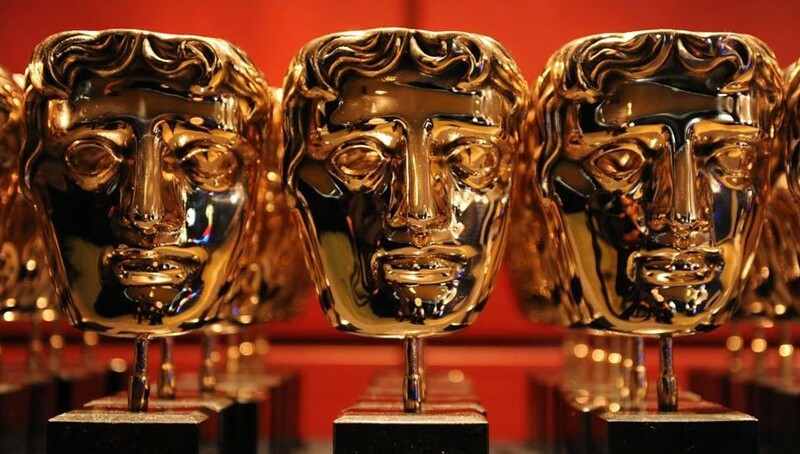 The 2018 Bafta Film Awards will take place at London’s Royal Albert Hall on Sunday 18 February. The complete nominations list for the BAFTA TV Awards 2017 has been released ahead of the ceremony in May. 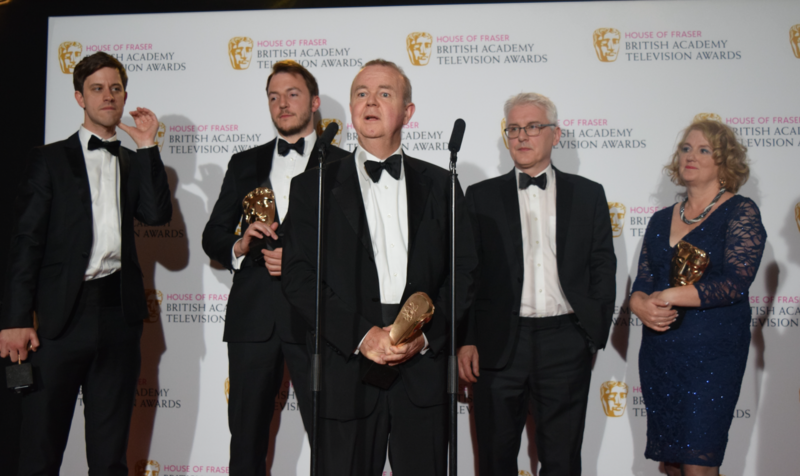 On May 14, UK audiences will be invited to celebrate the very best of television in 2016 as the British Academy of Film and Television Arts distribute their awards from London’s Royal Festival Hall. This year’s awards will be hosted by the Great British Bake Off‘s Sue Perkins and the evening will see all different strands of the television world recognised, as entertainment shows, documentaries and dramas are awarded for their contributions to TV. 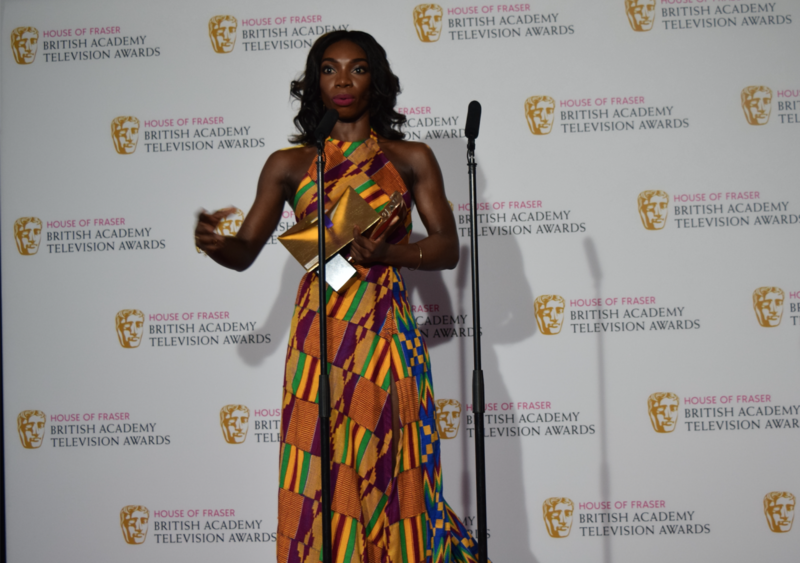 The 2017 contenders were announced on a Facebook live stream today (April 11) by Chewing Gum‘s Michaela Coel and Broadchurch‘s Andrew Buchan. This year The Crown leads the way with five nominations, including a Leading Actress nomination for Claire Foy, closely followed by Happy Valley and Fleabag. The BAFTA TV Awards 2017 will air on Sunday May 14. 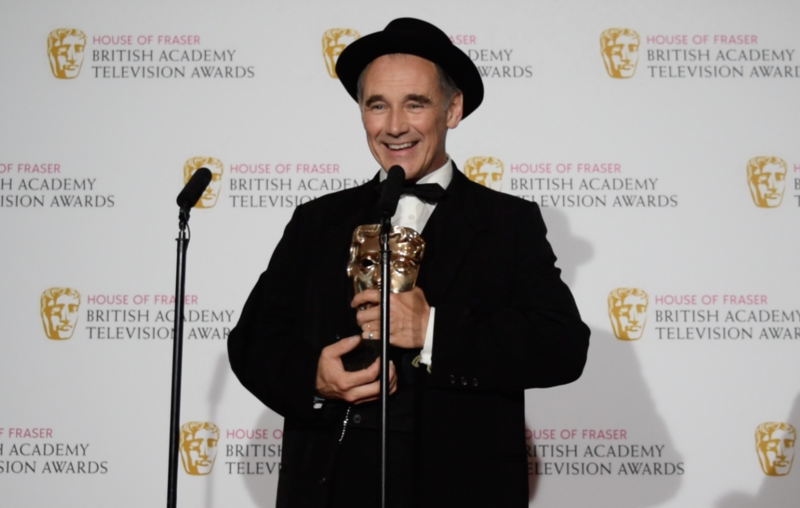 The star-studded, sun-soaked BAFTA Television Awards hit London’s South Bank last night. Actors, writers, directors and producers from the creme-de-la-creme of last year’s television spent the night in Royal Festival Hall, paying tribute to a fantastic year on the small screen. The ceremony packed quite the political punch with many of the winners taking the opportunity to comment on the recent talk surrounding the BBC. Wolf Hall‘s director Peter Kosminsky retaliated to Secretary of State John Whittingdale’s comments on the disappearance of the BBC being a “tempting prospect” with a few choice words of his own. Many other stars followed suit in strong defence of the broadcasting service and its right to remain apart from Government interference. Host Graham Norton performed admirably as light relief between each rousing winner’s speech and he even managed to get in a few Ricky-Gervais-esque digs at his fellow celebrities. Catch up on the BAFTA Awards on BBC iPlayer. 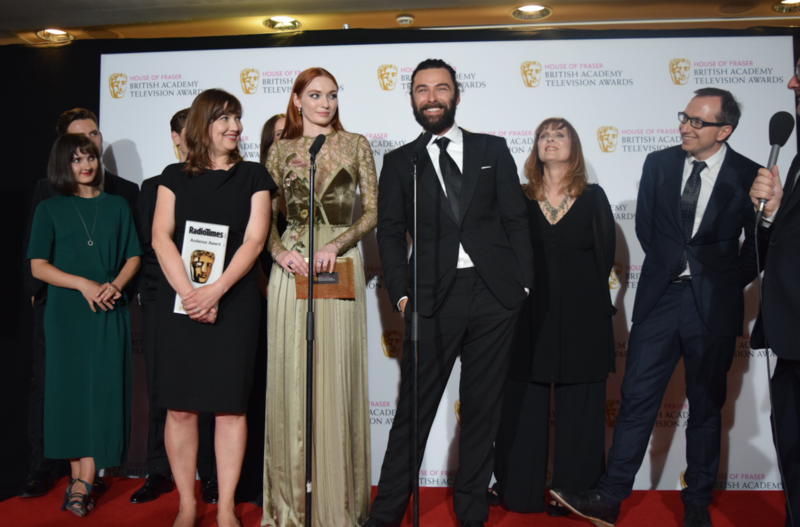 In news that surprised absolutely no one, BBC One drama Poldark was crowned with the Radio Times Audience Award at the House of Fraser BAFTA TV Awards last night (May 8th 2016). 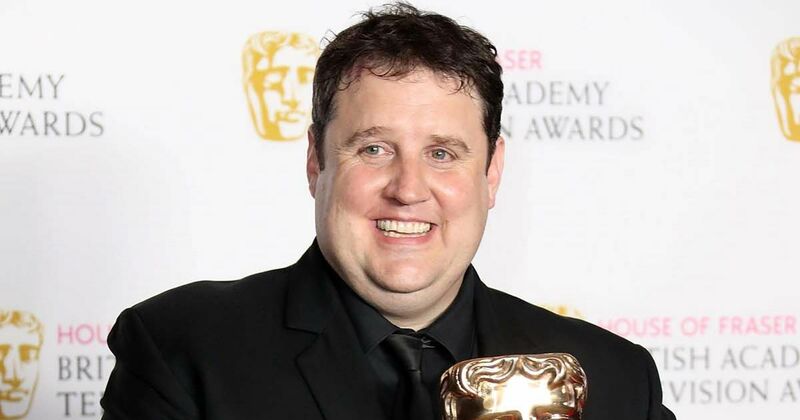 Winning in the only category on the list that had been voted for by members of the public, the show trumped other big hitters Doctor Foster, Humans, The Great British Bake Off, Making a Murderer, and Peter Kay’s Car Share. We had the pleasure of speaking with the victorious cast and crew straight after their win. Here’s what Aidan Turner and co. had to say about the show, James Bond, and male objectification. Aidan, did you have any doubts or reservations when you were offered the role? Does it surprise you how much of a phenomenon it’s become with the fans? What can you tell us about season two? Is there any truth to the rumours that you got flown out to L.A. for meetings about James Bond? Okay, moving on. Your BAFTA award was voted for by the audience. How much of that do you think was down to you being shirtless in a field? One for Eleanor and Heida; what’s it like being on a show where the man is objectified, rather than the women? Congratulations on your double win for Wolf Hall. How do you feel? TV drama is in a pretty incredible place right now. Do you think the sense of community you speak of has something to do with people getting behind the BBC tonight? This is your second BAFTA this year – one for TV and one for film. How does that feel? You’ve got Christopher Nolan’s World War II action-drama Dunkirk coming up; have you started filming it yet, and have you already met Harry Styles? 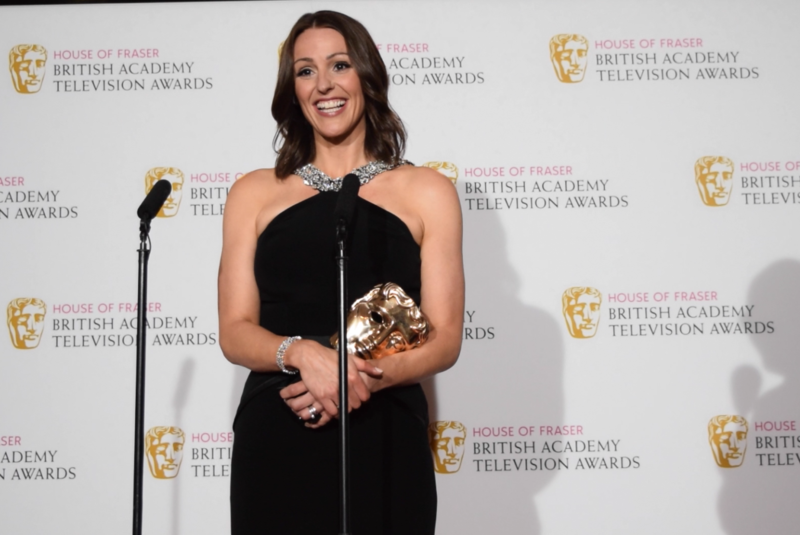 She’s arguably the most beloved TV actress in the country right now, so it was really no surprise that Scott and Bailey star Suranne Jones would win the BAFTA TV Award for Best Leading Actress for her work in the remarkable BBC One drama, Doctor Foster. We had the pleasure of speaking to the jubilant Suranne as she came off the stage with her shiny new trophy. 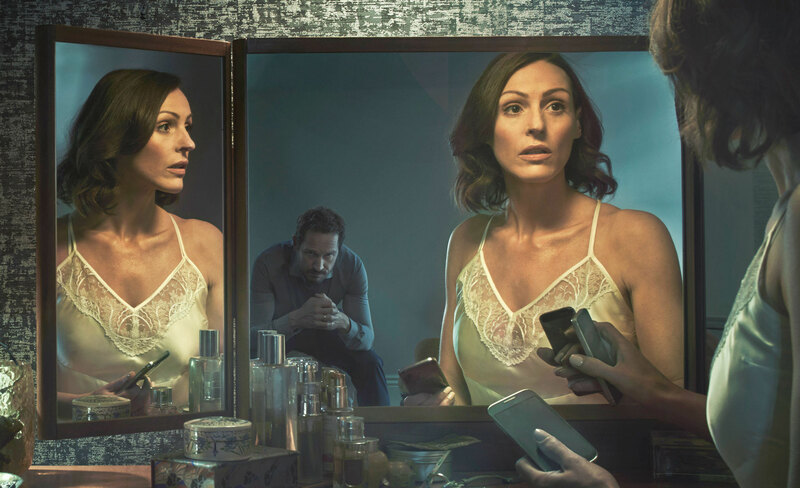 Here’s what she had to tell us about Doctor Foster‘s success, what we can expect from season two, and whether we might be seeing her on the West End stage any time soon. Were you aware when you first signed on to Doctor Foster that it would become such a phenomenon? Suranne Jones: “Well Mike Bartlett was attached, so I thought it might be special, and then I went to speak to Drama Republic and Mike about what I felt about the script, and immediately I thought: ‘Oh, you’re a real collaborative team! You want to know what my feelings are as the woman that’s going to play the character’. Mike wanted to meet someone before he started to write for them, and then we struck up a great relationship. He met with me, talked about the episodes, and then he would do rewrites after our meetings, which doesn’t [usually] happen! So I felt very much a part of the team. So when did you become aware that you had such a big hit on your hands? Suranne plays Gemma Foster, a GP whose life is torn apart when she learns of her husband’s affair. What stage is season two of Doctor Foster at right now? How has having a child influenced your approach to acting? Will we be seeing you back on the West End stage any time soon?